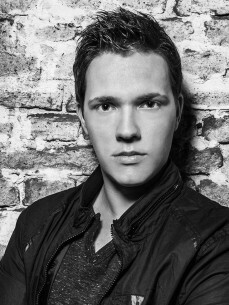 Rene Kuppens launched his career as a producer in 2009 with his chart topping debut track ‘Star Drumz’. Born in the Southern part of The Netherlands, this Dutch youngster got supported by the likes of Tiësto, Justice, Cassius, Laidback Luke and many others instantly. His energetic Progressive beats combined with a twist of Electro have gained popularity around the world. After releases on Sneakerz Muzik, DIMMAK, Spinnin’, Ministry of Sound, Made In NL and official remixes for the likes of Don Diablo, Sharam and many others, he is now ready to travel the world with his top-notch productions after he has literally performed in every big club in The Netherlands. 2012 couldn’t start any better. His collaboration with fellow Dutch producer Dyro is set to be released on the 30th of April on Hardwell’s imprint Revealed Recordings. Major support is coming from the well-known DMC Miami Buzz Chart in which the track reached the number 4 position! Hardwell’s performance at Ultra Music Festival in Miami made the crowd go wild like they never did before when playing this gem.